HS 49 – “Vaccine Epidemic” with coeditor Louise Kuo Habakus, M.A. On this episode of the Holistic Survival Show, Jason and Louise Kuo Habakus discuss the human right to vaccination choice, the ethics and constitutionality of vaccination mandates, and what parents should do regarding vaccinating their children. More at: http://HolisticSurvival.com/category/audio-podcast/. Louise Kuo Habakus, M.A. and Mary Holland, J.D. co-edited the “Vaccine Epidemic: How Corporate Greed, Biased Science, and Coercive Government Threaten Our Human Rights, Our Health, and Our Children.” The book features more than 20 experts from the fields of ethics, law, science, medicine, business, and history, and is a call for reform. According to the research, nearly all Americans receive vaccines. “The federal government’s Centers for Disease Control and Prevention (CDC) currently recommends 70 doses of sixteen different vaccines between birth and age eighteen, and all fifty states mandate between 30 and 45 doses of vaccines for admission to day care and school.” Public health officials tell us that vaccines are safe and effective, but there is far more to the story. Louise and Mary introduce a diverse array of interrelated topics concerning the vaccine controversy, building the case that it’s your right – not the government’s – to decide whether to vaccinate yourself or your children. 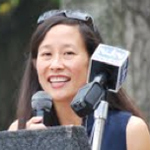 Louise Kuo Habakus is the director and cofounder of the Center for Personal Rights. She was a managing director for Putnam Investments, a corporate vice president for Prudential Financial, and a consultant with Bain & Company. She graduated Phi Beta Kappa from Stanford University, where she also received a graduate degree in international policy studies. In her advocacy work, she lectures and writes frequently and has appeared in numerous media outlets, including ABC World News Tonight, Fox & Friends, and the New York Times. Guest: Louise Kuo Habakus, M.A.